When Shane Ferguson and Ian Jones open the doors to Future Mountain Brewing and Blending tomorrow, pouring from the taps you’ll find two pilsners, a white ale, a hopped up farmhouse ale, and a whole mix of barrel-aged sours, including some made with apricots, peaches and cherries. It’s an impressive-sounding opening beer list for any brewery. 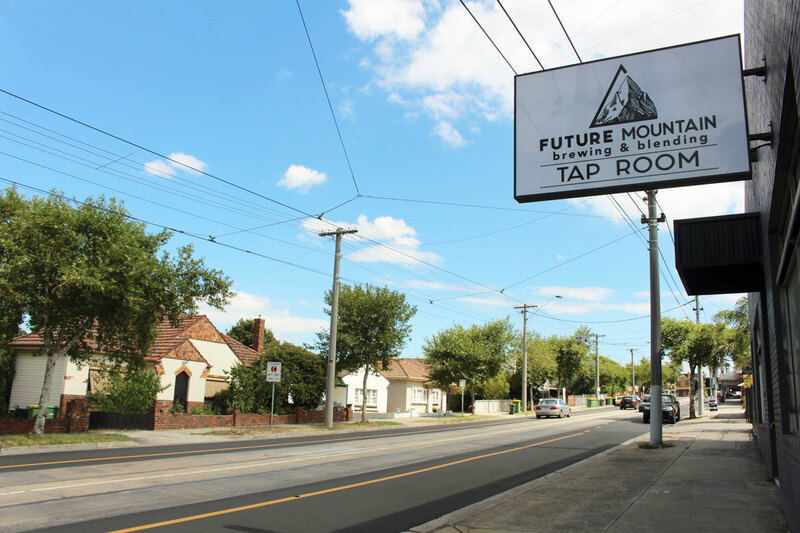 That Future Mountain is in Reservoir, in Melbourne’s outer north and well beyond the city's traditional, albeit growing craft beer heartland, makes it all the more impressive – unlikely even. But these are unlikely times in which we live and the buzz their venture has been creating around the local beer scene already is quite something; put it this way, this week saw them sell out an event at Good Beer Week in May and they've not even had a single customer into their home yet. And what a home it is. There’s two bars: one at the front that’s made of brickwork, brought to life by low lighting and indoor plants, and providing plenty of space in which to enjoy glass after glass of saison. The bar at the rear feels like it's been designed more with the beer geek in mind: the stainless side of the business lines the back walls, and you can pull up a pew next to their barrels as you tuck into one of their mixed ferments. Taken together, it's a space that's already winning over locals. “A day doesn’t go by where one person, if not several, doesn’t pop their head in to find out more and tell us that this is what the community’s been looking for,” Shane says. Shane Ferguson and Ian Jones at their Reservoir home, Future Mountain Brewing & Blending. When it opens, Future Mountain will make the craftiest tram route in Australia (maybe even the world) even more appealing to beer lovers. Yet a barrel-and-bug-focused brewery so far along the 86 suggests that, culturally at least, Melbourne’s inner-north is spreading its tentacles ever further. 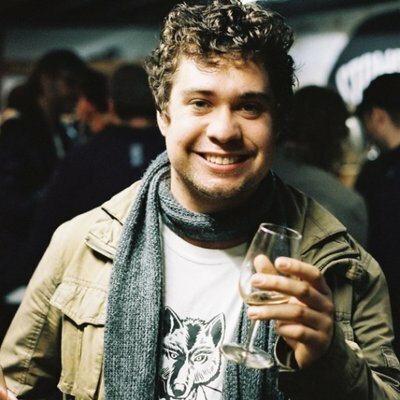 It also shows just how far and fast the Australian beer industry has evolved, reaching a point where farmhouse, wild and sour beer styles are nudging into mainstream food and drink discussion. 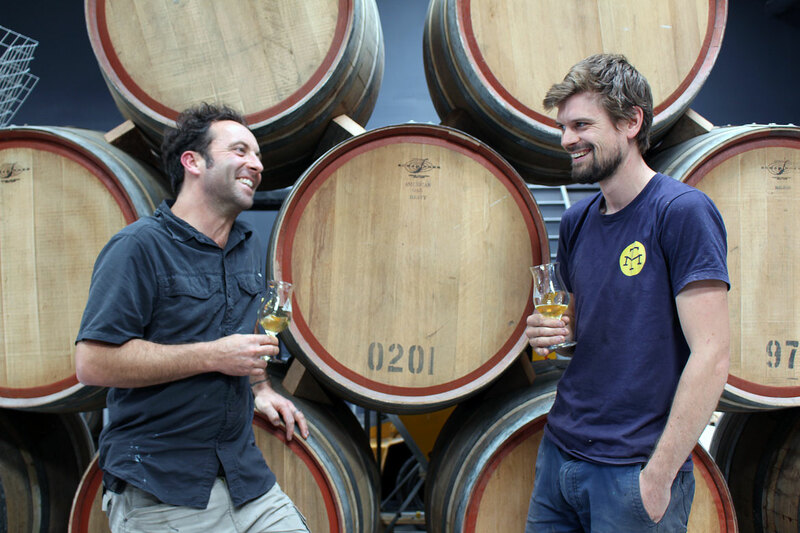 Given the success of Wildflower in Sydney, in particular, it seems quite remarkable it was only at the tailend of 2015 that Boatrocker was the first Australian brewery to open a dedicated barrel room. It's arguably less remarkable that Shane and Ian are among that brewery's alumni, meeting there before embarking on their joint adventure. Spend time within Future Mountain and it's clear they've been putting their past experience to good use, with Belgian-inspired saisons and blended and barrel-aged options among the 12-tap offering. 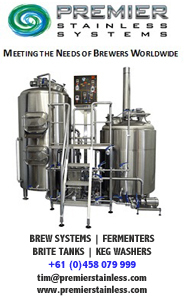 The Belgian styles take shape within an open fermenter located in its own sterile and temperature controlled chamber, a setup designed to let the yeast really go to work. Meanwhile, their lab is filled with a mix of bacteria and cultures they’ve stockpiled from beers they love. 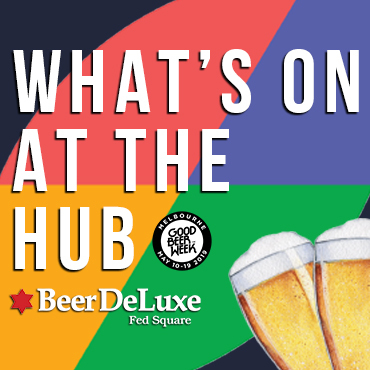 Were you to pull apart the foundational culture Ian has been working on for years at home, you'd trace a route back to some of the pair’s favourite breweries, the likes of Cantillon and Jester King. “We’ve been spreading that around as a base culture and adding things on top,” Ian says. 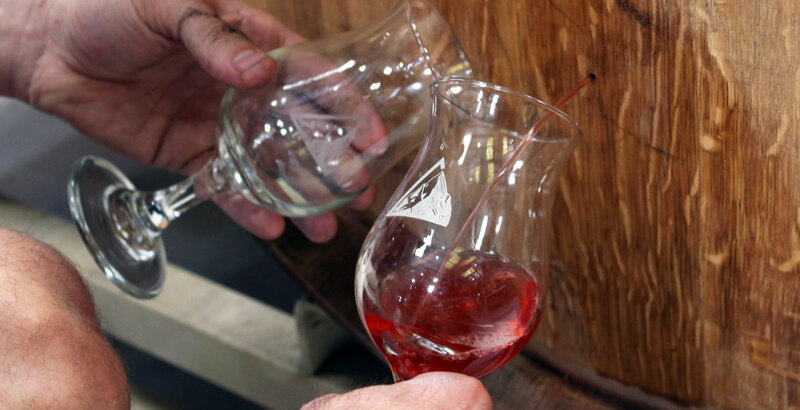 In the future, this mixed culture will evolve to include wild yeast strains they’ve captured, including some from the orchards and wineries where they're sourcing their fruit. “We want to highlight our product but also the produce of someone else,” Shane says. Now who would have given us odds on a barrel-ageing, blending brewery opening in Reservoir five years ago? While many brewers of such beers have drawn inspiration from the great lambic and farmhouse breweries of Belgium and northern Europe, it’s America’s growing number of farmhouse and wild beer specialists that have helped drive the creation of Future Mountain – even the name alludes to a mixture of the Old World and the New. “There was that interplay in the name between old and new and that permeates through everything," Shane says. "From the fitout of our brewery to the beers." In recent years in particular, the vast and diverse American craft beer industry has also shown that breweries focused on single beers styles, be that hazy IPAs, German lagers or wild ales, can be viable. More than that, they can flourish. “Knowing that the Australian market traditionally follows the American market, we could see the wave coming,” Shane says. “Breweries saying, 'We are going to approach this product not as a side experiment but as something that is the core focus' and you can see that going through their entire brand." As for the future of their own beers, the vast majority will flow through the taps in Reservoir, with some available in bottles: 500ml for saisons and white beers; 375ml for all mixed fermentation based releases. Those choice of the latter is in the hope of removing some of the gravitas that can be attached to buying such beers in a 750ml champagne bottle. “I want to see it being totally approachable," Shane says, "and not a big deal being made about something needing to be cellared or left for a few years. It’s an approach they intend to bring to their saisons too, which will be kept as diverse as the name – French for season – implies. They’ll vary from low to higher ABV to those dry-hopped with newer varieties from Australia, New Zealand and Europe. The likes of La Sirène’s Urban Pale have helped show that yeast-driven farmhouse beers can be made accessible to a broader, typically hop-chasing beer market. Equally, Ian and Shane point to a newer breed of brewery, happy to focus on creating variations within a single style, as another indication as to diverse craft beer can be. You'll find Future Mountain at 703-707 Plenty Road, Reservoir.